We're very fortunate in Bearwood to have a couple of superb public green spaces in Warley Woods and Lightwoods Park. But running alongside Norman Road we also have an area of natural beauty in Thimblemill Brook, and their Friends Group have been working quietly away for years with conservation work and improved public access. 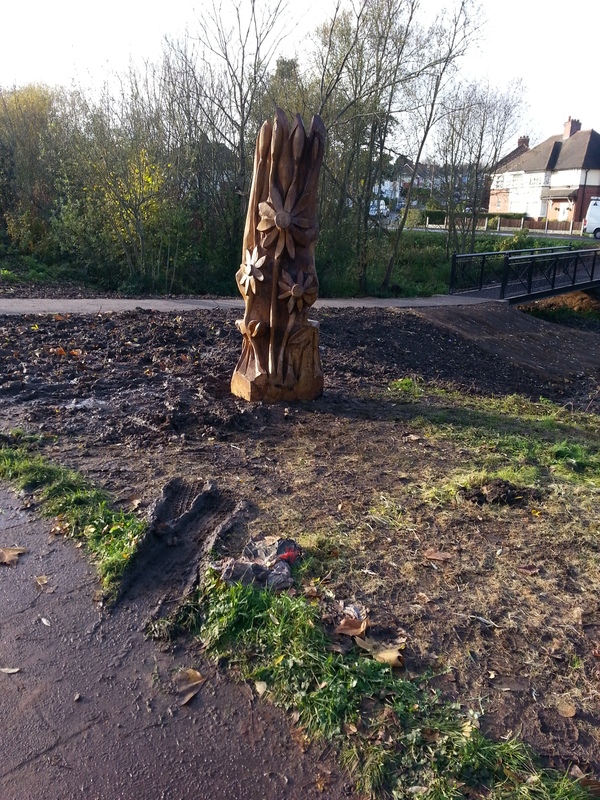 Take a walk along the Norman Road side of Thimblemill Brook and see the new bridge and carved seat that the Friends of Thimblemill Brook have had installed. Still on Norman Road, cross over Hurst Road towards the original bridge and see the three additional small pools that have been added widening the brook as it flows towards the bridge. The bridge will have an official opening in the Spring when additional planting of wild flowers and native trees has been completed. Photo shows Bridge and the back of the carved seat.